Cape Town, also known as ‘The Mother City’ is the largest city in the Western Cape Province in South Africa. It was originally founded as a resupply station for the Dutch East India Company. Today, Cape Town is the legislative capital of South Africa as well as, it is a well-renowned and much-preferred destination of holiday-makers. Known for its pristine beaches, spectacular vineyards and impressive landscapes and endless ocean, Cape Town is one of the most picturesque cities in the world. Cape Town is also the oldest city in South Africa and has many chapters in its history that contribute to its captivating multi-ethnic culture. Learn and discover the history of Cape Town through its numerous landmarks. 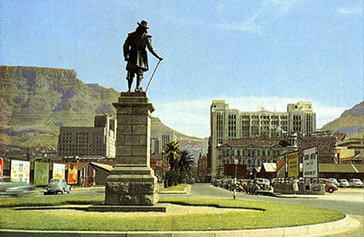 Cape Town’s history and culture are closely inter-woven with that of South Africa. From the days of the Khoisan long time back in history to the arrival of Jan van Riebeeck on the South African soil, from the day era of Apartheid to the liberal freedom enjoyed in today’s modern times, Cape Town has been at the forefront of it all. Indeed, Cape Town has a rich and captivating history, and as such, the city has a wide and lively culture. On your quest to unfold and explore the history of this vibrant city, you can start at the Castle of Good Hope, the city’s oldest building which was initially built as a fortress by the first white settlers, the Dutch. Completed in 1679, the Castle of Good Hope was a great model of the finest architecture of that time. The building’s 17th-century décor has been restored and it now functions as a popular museum. Then head off and explore the cobbled Government Avenue. The Government Avenue is a walking street although it is, at times, used by cars during parades. This avenue is lined with historic institutions such as De Tuynhuis and the Cape residence of the State President. The Company Garden is also found along the Government Avenue. The Company’s Gardens is the oldest garden in the country. It has its origins in Jan van Riebeeck’s vegetable garden, which he grew to feed the colony in 1652. Roaming within the garden, you will come across several important buildings - the South African Museum, the Planetarium and the South African Art Gallery are all found within the garden. Another important phase in the history of Cape Town is highlighted by the Cape Town’s tale of slaves. Many of the slaves in Cape Town came from Malaya and their memories have found their place at the boldly painted and terraced Bo-Kaap Museum, on the slopes of Signal Hill. 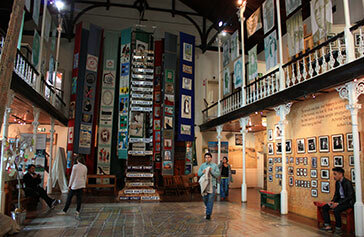 Apart from Bo-Kaap, the District Six Museum is another fascinating location which traces the forced removal of a vibrant mixed race community. Talking about the history of Cape Town, Robben Island is a landmark of great significance which is also one of the biggest tourist attractions and a major highlight on any trip to the Mother City. This is where many political prisoners including Nelson Mandela were incarcerated. The island museum is situated about 11km off the coast of Cape Town and was declared a World Heritage Site on December 1 1997. Growing in popularity are tours to the townships on the Cape Flats, where a new urban culture is being forged. Tours provide a ‘behind the scenes’ look at how communities live and work with visits to arts and crafts facilities and sustainable and environmental development projects.